This past week was a rough one for women who like fair pay and bodily autonomy, with blows coming from both the United States Senate and the Michigan House of Representatives. On June 5th, nearly overshadowed in the media by the contentious Wisconsin recall election, the Senate had the opportunity to vote on the Paycheck Fairness Act. It seemed innocuous enough. If passed, the bill would have required employers to explain differences in pay among male and female employees and would have prevented retaliation against co-workers who discussed their salaries. Women who sued their employers for equal pay would have been eligible for damages matching those granted under existing racial and ethnic discrimination laws. The bill was created to address the statistical fact that women are paid, on average, $.77 for every dollar earned by a male employee. Minority women are subject to an even wider gap. 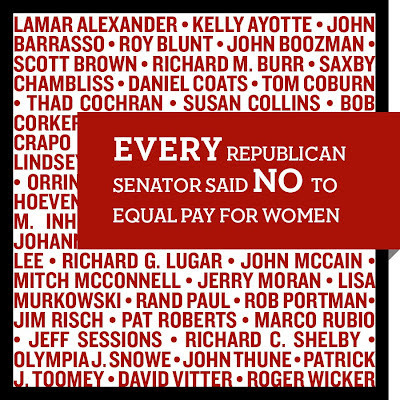 In short, the Paycheck Fairness Act would ensure that men and women were receiving equal pay for equal work. It's hard to believe anyone would rally against such a thing, but that's exactly what Senate Republicans did on Tuesday. Their filibuster successfully defeated the bill, as every single GOP senator present cast a “nay” vote. 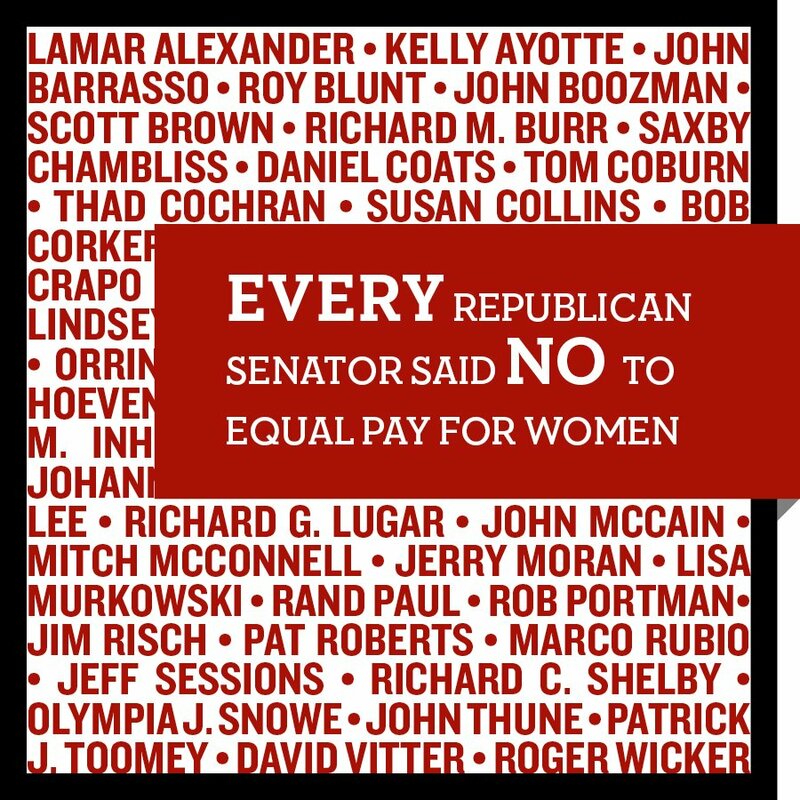 Perhaps the saddest statement of all is that among their ranks were five female senators. Each one has the privilege of being paid the same rate as her male colleagues, yet they all declined to offer that same privilege to their constituents. What does it say about these so-called public servants that they are willing to vote against their sisters in order to appease their party? If you ask me, it says that simply electing women isn't enough. We need to elect women who respect women. As if the defeat of equal wages just wasn't enough of an attack on women's rights for the week, a massive piece anti-abortion legislation flew through a Michigan House committee on Thursday and is expected to pass through the rest of the House early next week. If passed, the bill will criminalize terminations past 20 weeks gestation allowing only a narrow exception for the mother's life (but not for her health nor for fetal defects). It will also place excessive restrictions upon doctors and patients in the state. Political analysts say that the bill is an attempt to strictly limit abortion without violating Roe v. Wade; the restrictions themselves are likely to force many clinics to close their doors. Circumventing the absolute legality of abortion by eliminating access to it is the latest tactic in the anti-choice war on bodily autonomy. We could look at this past week and see two big news events that have nothing to do with one another, or we could look at them and see them as calls to action. The War on Women is on-going and taking many forms. We need to fight back against each attack or risk losing the rights we've worked so hard to obtain. Volunteer or donate today to help We are Woman make a strong statement now and in Washington this fall.